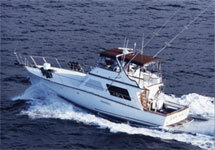 Island Magic Salmon Charters Ltd. This summer, catch all the excitement aboard the F/V Island Magic, a 54 foot luxury Sportfisher and your ticket to the Swiftsure bank for offshore West Coast Salmon fishing. We offer 1, 2, and 4 day fishing charters to various locations such as Sooke, Port Renfrew, Swiftsure Bank, Barkley Sound, Tofino, Ucluelet and Victoria. 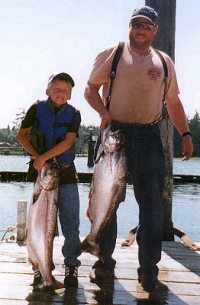 Welcome to Quigley Sports Fishing a charter fishing service operating from our home port; Sooke, British Columbia. Quigley Sport Fishing charters the entire southwest coast of Vancouver Island from Victoria to Port Renfrew. Fishing the south island for Chinook (King) Salmon is an experience that you will never forget. Coho, Sockeye and Pink Salmon should also be in great abundance. With over twenty years of fishing exploration, Bill Sargent will guide you through an unforgettable adventure in the coastal waters of Vancouver Island, British Columbia, Canada. The latest technology and equipment is used to ensure the best odds for catching salmon. 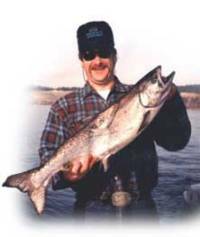 An amiable Bill Sargent, with his knowledge of all aspects of fishing and cruising, will keep you informed and entertained. Charters include the boat, guide, fuel, fishing rods, reels, bait, and the cleaning and bagging of your days catch. All you�re required to bring is warm clothing, comfortable shoes, and don't forget a camera. build about 6 keyword phrases using the where? what? rule. i.e. "Sooke fishing, Sooke fishing charter, Sooke salmon, Vancouver Island fishing" - people seldom search by one word alone and if they do why do you want to come up in search results for some other part of the world? DO NOT REPEAT any word more than 3 times.